Visit The Old Fort Douglas Military Cemetery! 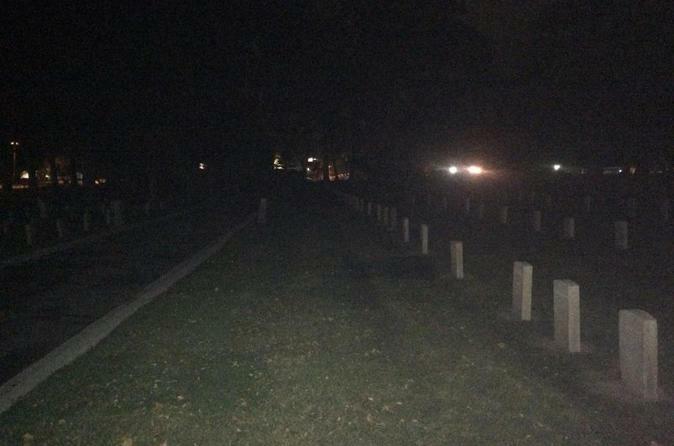 Experience an immersive experience where you spend an evening exploring and learning the rich, vivid, and unique history of the Fort Douglas Military Cemetery. Hear tales spanning from the Civil War through the modern wars. This jewel is full of stories of the famous and infamous buried at Fort Douglas Cemetery. Learn about the Bear River Massacre, Crazy Horse, WW1 and WW2 prisoners of war, the deaths from the Spanish Flu epidemic that killed 1/5 of the worlds population, the Salina Massacre and much more. Spend an evening learning the rich, vivid, and unique history of the Fort Douglas Military Cemetery. Hear tales spanning from the Civil War through the modern wars. This jewel is full of stories of the famous and infamous buried at Fort Douglas Cemetery. Learn about the Bear River Massacre, Crazy Horse, WW1 and WW2 prisoners of war, the deaths from the Spanish Flu epidemic that killed 1/5 of the worlds population, the Salina Massacre and much more. Please meet at the Fort Douglas Cemetery in the parking lot on the East side of the Cemetery. Please bring your cameras because you never know what might show up! Please wear attire suitable to the weather. The tours consist of both walking and riding on our Grimm Ghost Shuttle in all weather conditions. Because their is some walking, we suggest wearing comfortable shoes.